This past month we launched a new website which is sure to raise the bar in the highly competitive landscaping industry. 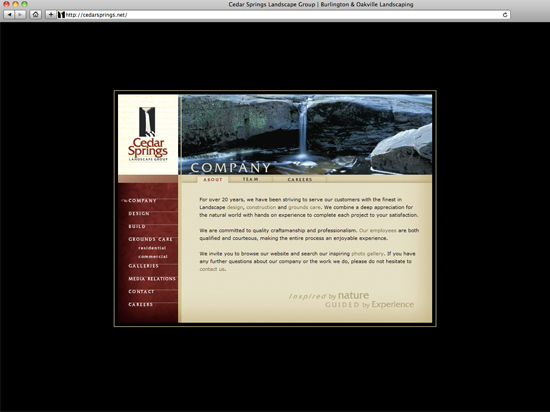 The site features an insightful design that leverages gorgeous, impactful portfolio photography (shot by our own Joel Reynolds) to inspire customers, clever messaging along with lots of useful content outlining the landscaping process. Our own process puts insight before website so this project started with extensive market research and an in-depth analysis of the company. 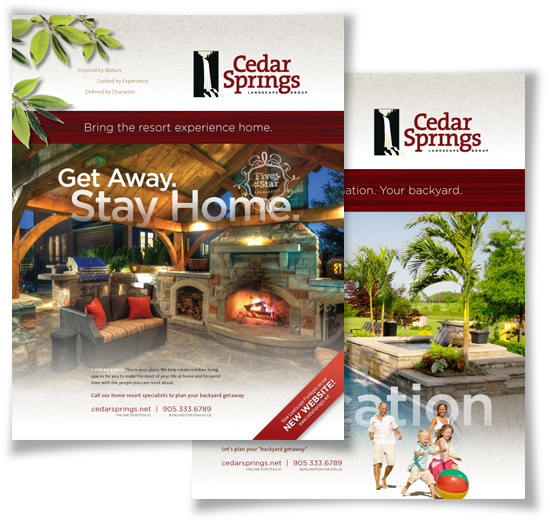 Customer and employee surveys revealed that Cedar Springs is highly valued, not only for the beautiful work they do but, more importantly, for the character of the people doing the work. Online, the brand promise is expressed through the theme “5 star landscapes” which conjures up an experience of quality time, lush environs, and superb customer service. Home owners are asked to reflect on whether or not they’re getting the most out of their time at home. This is also the thrust of an ad campaign which further encourages people to think of their backyard as a place to get away, every day. 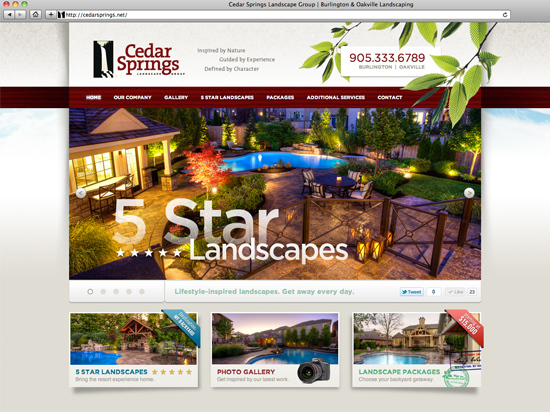 It’s a bold theme, by industry standards, but a perfect fit for a company like Cedar Springs. Take a minute to have a look at the new site and let us know what you think.